It’s always exciting to see things that we’ve worked on out in the world. Here is a wonderful example in the fashion world. 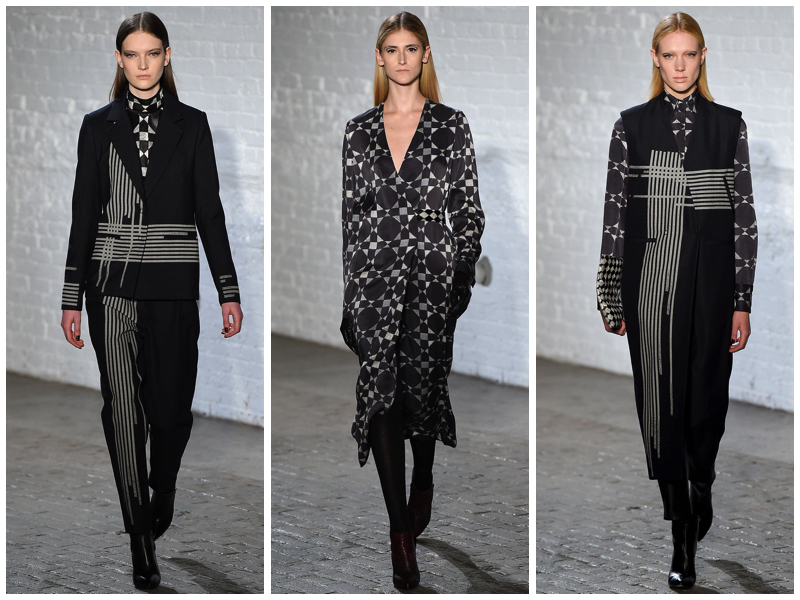 Our sister company, First2Print, printed these fabrics for Yigal Azrouël’s Ready to Wear Fall 2015 and you can currently see them on style.com. Mr. Azrouël, who is Israeli born and is known for his feminine designs and expert draping techniques, produces 90% of his products right here in NYC’s Fashion District. This entry was posted in Designer, Fall 2015, Fashion, New York Artists, New York City, NYC Fashion Week, textile designer, Textiles, Trend Blogs, Women's Fashion and tagged Design, Design Works International, Designer, Designer Fashion, Fall Fashion, Fashion, Firs2Print, Nancy Fire, New York City, NYC, style.com, Surface design, Textiles, Trend Blogs, Trend prediction, Trending, Trends, Women's Fashion, Yigal Azrouël by Design Works International. Bookmark the permalink.